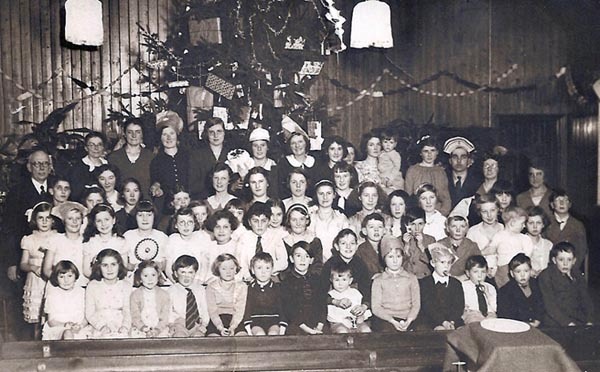 Group photo taken at the old Banstead Tin Tabernacle. We would like to know more about this photograph. When was it taken? Can you name anyone in the photo? Are you in it!? Can you tell us what activities this group would have been involved in?